Some local governments in Maryland are having difficulty preparing adequate financial statements and getting passing grades from their outside auditors, state auditors found in an annual review of local audit practices for the fiscal year ending June 2013. But the report found that the City of Baltimore’s financial statements are improving, and it also stated the overall financial condition of three cities, including Cumberland, is improving. The Office of Legislative Audits (OLA) noted repeat findings in every category cited in last year’s report, raising concern about lack of audits, audit-reporting flaws, accounting deficiencies, or cash balances at risk in many of the state’s 187 local governments and taxing districts. Six governments were not audited in the year covering 2013, 24 audit reports were defective, and 25 governments issued defective financial statements or disclosures. While most deficiencies appear minor, the high number of problems show room for improving financial accountability in Maryland’s local government units. OLA also found several governments did not correct risky practices involving cash deposits totaling almost $10 million. The books for the City of Hyattsville haven’t been audited since 2011, although state auditors reported the city inched forward during the year by completing its 2010 audit. The Town of Deer Park, however, added another year without audits and tied Hyattsville for the distinction of two years being audit free. State auditors also found that Glen Arden, Marydel, Morningside, and Pittsville failed to obtain audits covering 2013; and 19 other local governments did not complete their audits by the statutory due date. State auditors found audit reports for 24 local governments didn’t comply with auditing standards, mostly because language was ambiguous; this suggests the possibility that part of the audit was not completed. The state auditing office informed the local governments to contact their auditors about the reporting defects. Baltimore made progress by catching up on its audits through 2012, and receiving a clean opinion on its 2011 financial statements. However, state auditors did not say if the 2013 audit was complete. Moreover, a check of the city Comptroller’s website shows no audits posted there for more than a year. Sykesville’s auditor stated the financial statements were not prepared according to generally accepted accounting principles—a violation of state law. The statements violated those principles because they did not include transactions of the Warfield Development Corporation, a component unit of the Town of Sykesville. Sykesville’s auditor also reported that pollution remediation obligations of the Warfield historic properties were missing from Sykesville’s financial statements. State auditors reported financial statements for 25 local governments contained technical flaws. The report did not list the local governments involved. It appears the flaws would not have affected the audits’ opinions, although the state auditor’s work was not designed for this purpose. State auditors found $9.94 million of cash deposits belonging to three counties, eight cities or towns, and two special taxing districts that were not collateralized or insured by the banks as required by state law. Any money not protected in the manner prescribed by law is potentially at risk of loss in the event of bank failure. The largest uncollateralized cash balances belonged to Anne Arundel and Garrett counties — each balance exceeded $1 million. Two cities reported unprotected cash exceeding $1 million; Annapolis and Capitol Heights. One special taxing area maintained cash at risk exceeding $1 million; Maryland-National Capital Park and Planning Commission. The state auditing report discloses that the violation of law relating to cash in Anne Arundel County has been reported for more than a decade without corrective action. The auditors found only one town (Cecilton) whose financial health was questioned. The cities of Cumberland, Ridgely and Pocomoke City were removed from the list because their financial conditions improved. 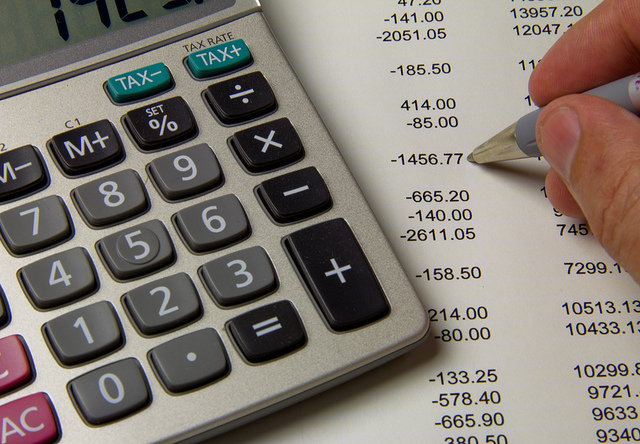 Three Anne Arundel County Special Taxing Districts either failed to submit financial statements or have their statements audited for 2013 (smaller taxing districts don’t require regular audits but they must submit financial statements annually.) State auditors did not identify the districts, and said they notified the county it needs to resolve the problem. The State Department of Education hasn’t been doing enough to make sure Maryland daycare workers have the required criminal background checks, and sometimes missed following up on criminal alerts for those workers, state auditors found. The department disputed some of the findings, but the auditors held their ground.